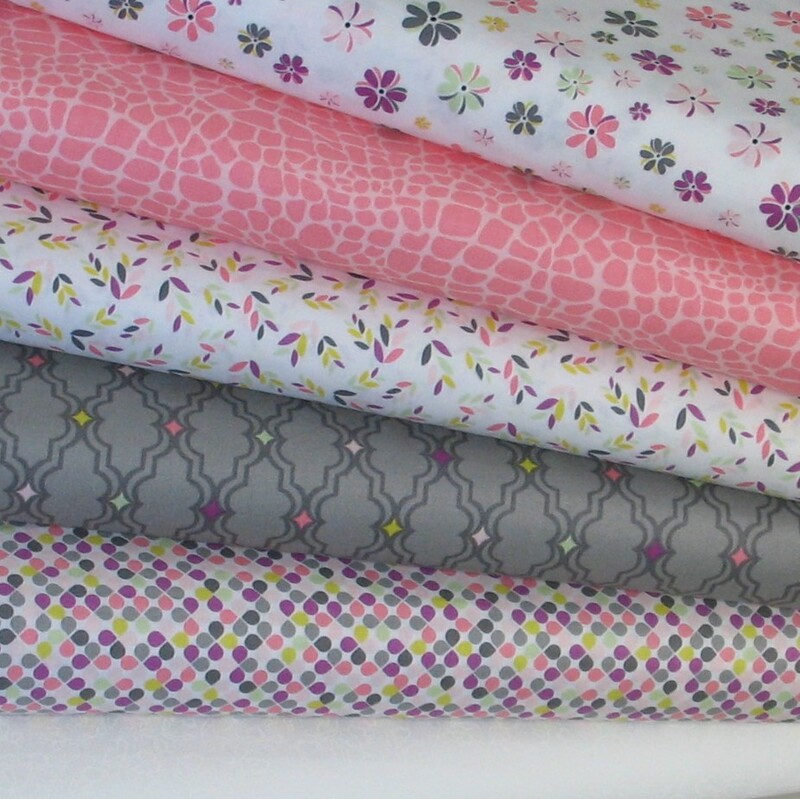 Patchwork Parcel's My Gray or the Highway Fabric Bundle features four yards of wonderful gray, pink, green and white fabrics from Camelot Fabrics’ “My Gray or the Highway” collection by Jack!e Studios and a white tone-on-tone fabric from Galaxy Fabrics. Bundle includes six coordinating fabrics - one yard of a focal print, one yard of a light/blender fabric, and four 1/2 yard cuts of coordinates - plus a pattern card for a traditional block. Fabrics are all quilt-shop quality fabrics. Shipping is a flat rate of $6.50.